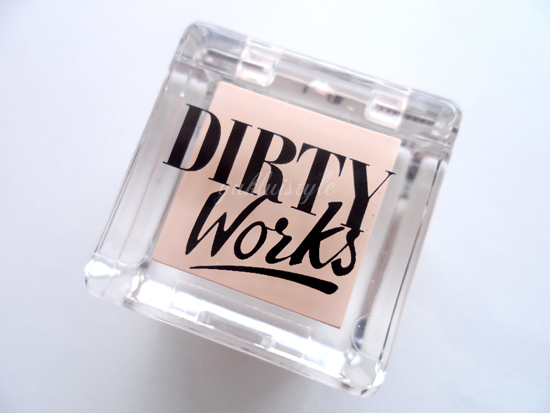 I’ve never heard of Dirty Works before and the style of this brand reminds me of Soap and Glory. From what I am aware, it is only available in Sainsbury’s. Love the packaging of this. 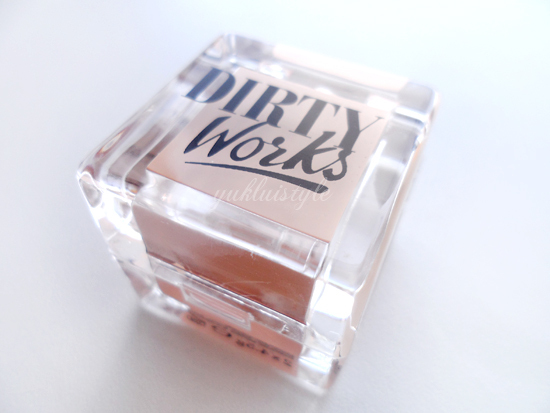 A little ice cube in your makeup bag. Great to pop into your bag. The most interesting feature of this is that it contains two shades for you to individually use or to mix the two together. 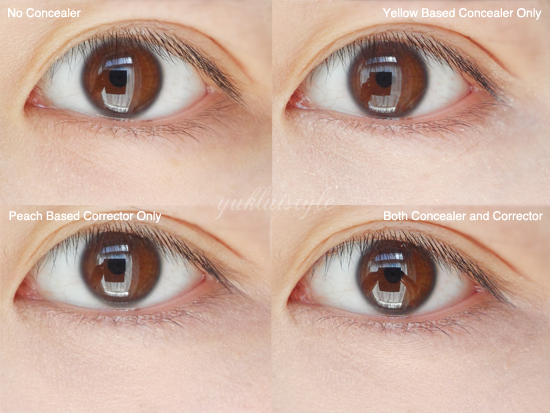 You have the yellow based undertone (best suited for blue undertone dark eye circles) and peack, salmon based undertone (best suited for purple untone dark eye circles). It contains vitamin E and aloe vera to sooth and moisturise the area but I couldn’t feel any difference. One touch of this and the product melts easily onto your fingers. 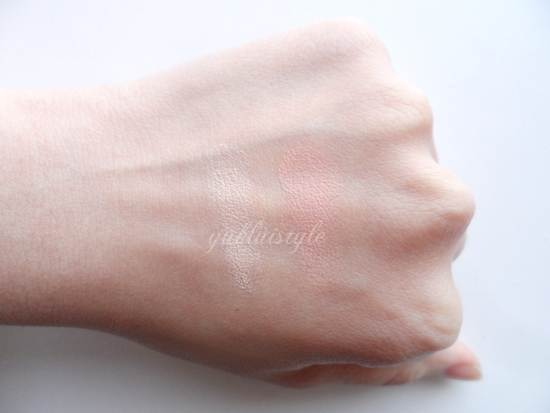 It’s very creamy and blendable but it does need powder to set it otherwise it’ll slip off. I do find that using brushes is a lot better than your fingers. 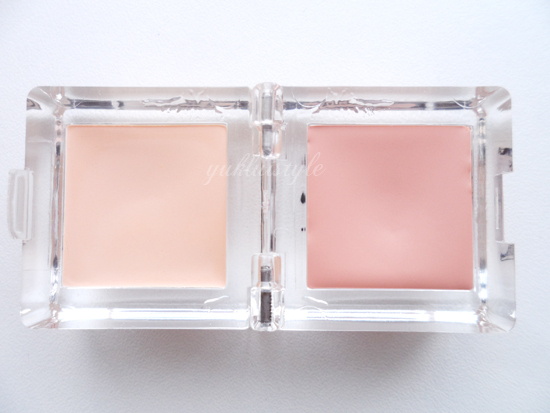 It is buildable and can give a good medium coverage however will cake if you keep applying it. This does cover a good amount and brightens the area however it did melt after a few hours and I looked a mess as it did make my eyeliner smudge. Cream products and oily skin doesn’t really go well together. Better suited for dry undereye. I haven’t used it on blemishes as I am afraid of it making me break out more. This is a good concealer for beginners and does suit many skin types however not both ends of the spectrum. There is a weird smell. Hard to describe. I personally don’t like this as there are way better concealers out there for the same price. I would try it, but I'm really happy with my Benenfit Boi-ing and I reaslly want to try one from Make Up Forever. Oooh! This product looks great! I have major panda eyes most mornings due to wearing waterproof mascara and being lazy about removing it! I will have to try this! Thanks for the tip! You have no dark circles! Or barely any. I really dont think you need any concealer for it. I love your blog =]and you're really pretty.